A car dealership should do more than just sell cars, they should sell an experience. At Venice Toyota, we strive to do just that. We offers Florida drivers more than a large selection of new Toyotas, Certified Pre-Owned vehicles, and used cars. Our friendly sales staff provides Osprey, Englewood and North Port residents with the personal car buying experience they’ve been looking for. Once we help you find the right car, our financial team will go above and beyond to help you find the financial option that fits your budget, whether that’s a lease or loan. 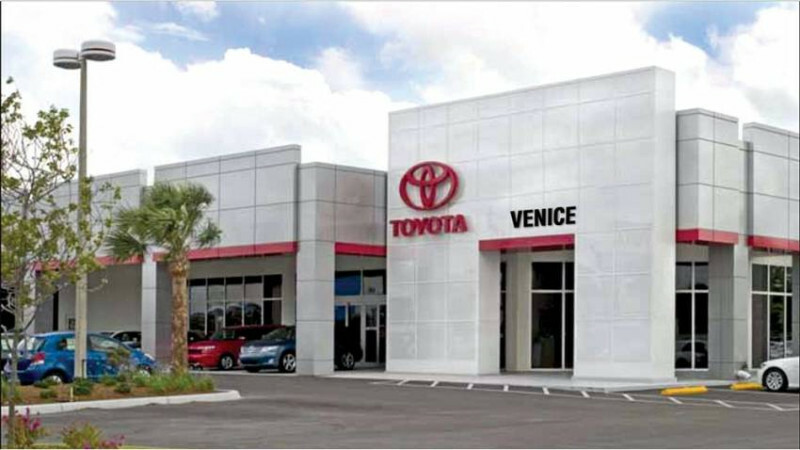 Even after Venice and Sarasota drivers hit the road in their new vehicle, our certified service technicians, as well as free ToyotaCare, are still here to help you care for your vehicle for miles to come.